Is Lacking Wisdom Evidence of Sin? We Christians believe there were people who lived before sin. When we study their nature, we learn more about God’s design for all of us. Jesus’ brother, James, taught us to recognize our lack of wisdom on a subject, and then to ask God for it. But both of these were written after the fall of man, and after the sin nature was well ensconced in every naturally-born human’s heart. Does our need for wisdom, and our inability to have adequate judgment, come from sin? And the Lord God commanded the man, saying, “You may surely eat of every tree of the garden, but of the tree of the knowledge of good and evil you shall not eat, for in the day that you eat of it you shall surely die. Then Eve, using her own judgment and misled by the serpent, directly contradicted God’s instruction. Now the serpent was more crafty than any other beast of the field that the Lord God had made. 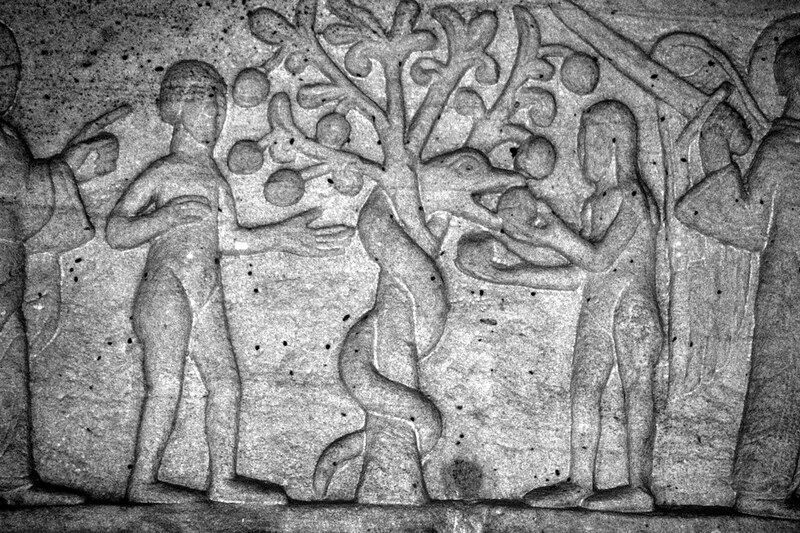 He said to the woman, “Did God actually say, ‘You shall not eat of any tree in the garden ’?” And the woman said to the serpent, “We may eat of the fruit of the trees in the garden, but God said, ‘You shall not eat of the fruit of the tree that is in the midst of the garden, neither shall you touch it, lest you die. ’” But the serpent said to the woman, “You will not surely die. For God knows that when you eat of it your eyes will be opened, and you will be like God, knowing good and evil. Before sin, Eve was unable to make the right decision depending on her own capability. God didn’t design us to be wise enough on human strength alone. With her own judgment, Eve couldn’t put together all of the factors, including God’s instructions, the trustworthiness of the serpent, and the value of her own logic. Was it sin to use the wrong judgment or to be deceived? God had never told Adam and Even that they needed to use impeccable logic, and never forget any facts. He had told them they were to trust him on the matter of the fruit of this one tree. Both Adam and Eve, without any sin in their hearts, used poor judgment. They needed God’s help, God’s wisdom. God did not equip them to make perfect decisions. It does not require a sin nature to have bad logic, to be deceived or to be misled. Eve evaluated the fruit and the consequences. She ultimately used poor logic and had bad data, by judging the benefits of the fruit to be greater than the risk that God was right about the consequences. She also had a conversation with the serpent, and took its advice. But none of that was condemned by God. Without a sin nature, she did several foolish, risky actions. But the only sin was taking the fruit and eating it. God didn’t put is on earth, in this life, to do it alone. Without any distortion of sin, or fog of depression, none of us are equipped to go it alone, using our own judgment, our own data, our own faculties. But aren’t our own intelligence and skills gifts from God? Yes! And still Solomon teaches us, don’t rely on your own understanding (Proverbs 3:5). Even though it is a gift of God to have any sense at all, we’re warned not to rely on it.